The folks over at Hellforge had an interesting conversation with Diablo III's Lead World Designer, Leonard Boyarksy. There is relatively little information related to gameplay in the interview, but for fans of the intricate lore and storyline of the Diablo saga, it's definitely worth a read. Boyarksy discusses how the random quests are still tied into the main storyline, and also gives some insight into how closely the lore team works with artists and programmers. Perhaps the best news for those who can't get enough of Diablo's story is a new addition, the lore book. The lore book that we’ve been putting in has been really popular. People like the ability to hear background stuff while they run around killing things as opposed to having to stop to read. So, we’re pretty surprised by that because people generally split into two different kinds of classes: the people who care about the lore and the people who could care less, but we’re finding that with the lore books that people have really responded to them. I’m assuming that’s because the audio portion of it where they don’t have to stop and sit and read it doesn’t cut into the action, basically. Listening to background information while hacking and slashing through monsters sounds like a win/win situation to me. 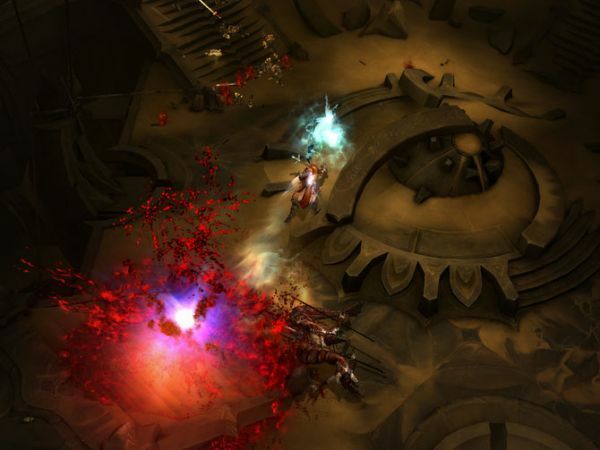 As we say at the end of every Diablo III news post: is it release day yet? Page created in 0.2769 seconds.